is a market leader in esthetic science, providing state-of-the-art products, technology and support to more than 600 premier spas, salons, medical centers andclinical estheticians worldwide. BSB founder and clinical skincare pioneer Bella Schneider, PME leads a team of more than 200 esthetic professionals at three premier spas. For more than 35 years, Bella has traveled the world to bring service providers the best in esthetic science; as a groundbreaking formulator, successful retailer and respected educator, her mission is to help professionals enhance their practice and grow their business. Winner of the Nouvelles Esthetiques lifetime achievement Crystal Award for contributions to beauty science, Bella hosts beginning to advanced training in clinical and spa skincare as well as ethnic skincare, peels and other new techniques at BSB’s Palo Alto, CA-based training center. Specializing in elite protocols, peer education, retail profitability and leading-edge products and ingredients, BSB offers estheticians the ultimate in powerful, botanically derived clinical skincare. BSB is the exclusive distributor of the LaBelle and BSB Culminé platinum product lines. 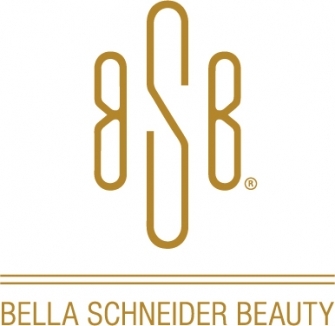 Bella Schneider has pioneered advances in skincare since opening her successful day spa and salon business in 1976. Following an apprenticeship in skincare and graduation from U.C. Berkeley, she devoted herself to the science of skincare and empowerment through beauty, bringing dozens of innovative products, services and esthetic education programs to the market. Bella provides in-spa training to hundreds of esthetic professionals and helps set industry standards in the field. Her spas have won hundreds write ups and awards. She was recently awarded Nouvelles Esthetiques lifetime Crystal Award for her contributions to the industry as a whole.